You are here: Home » Who Would You Rather Be? First, let’s cross off Zimmern. Yes, he gets to go to the coolest places internationally, and I am a firm believer of trying everything once, but I think that pushes even my limits. He eats some of the most unusual, and gross sounding things. That job would have to go. Next, is Richman. I love the idea of the food challenge. Having burned out many of my taste buds and (at times) expanded my stomach beyond where it should be, I think I could do the job. But look at the toll it takes. The early seasons he is young and somewhat vibrant. The later seasons – he is just worn out and the weight is everpresent. Bourdain has some interesting travels and is a close second, but he is just a little too snarky for me. I think it makes the show, so it wouldn’t be me. THE WINNER: Fieri. I love the out of the way joints. The diners that are open 24 hours. The place that has one killer dish that everyone in town knows about. He can keep his classic car, just send me the job. Besides being a host, Fieri is a darn good cook. 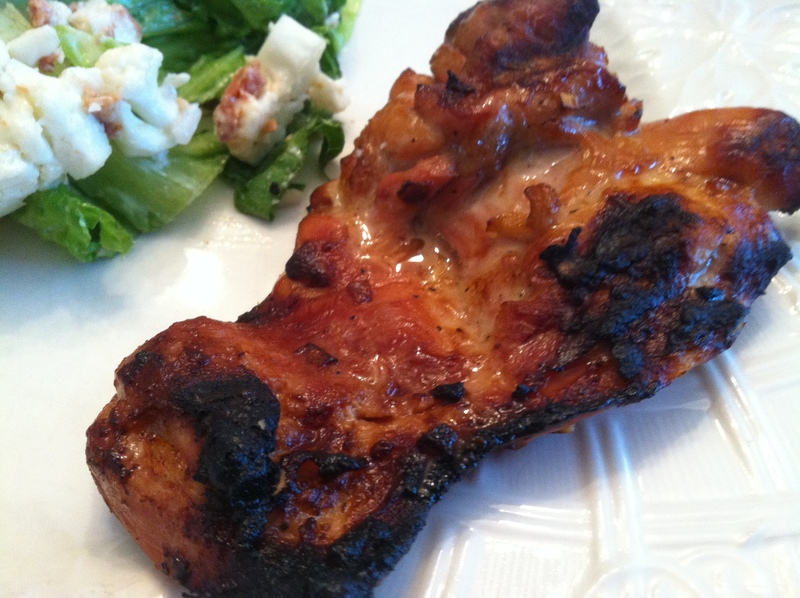 This Fieri recipe received tremendous praise around the table. It wasn’t just good, it was awesome! The key is marinating the chicken. Make sure you do it for at least four hours. Coat and grill. That’s it. 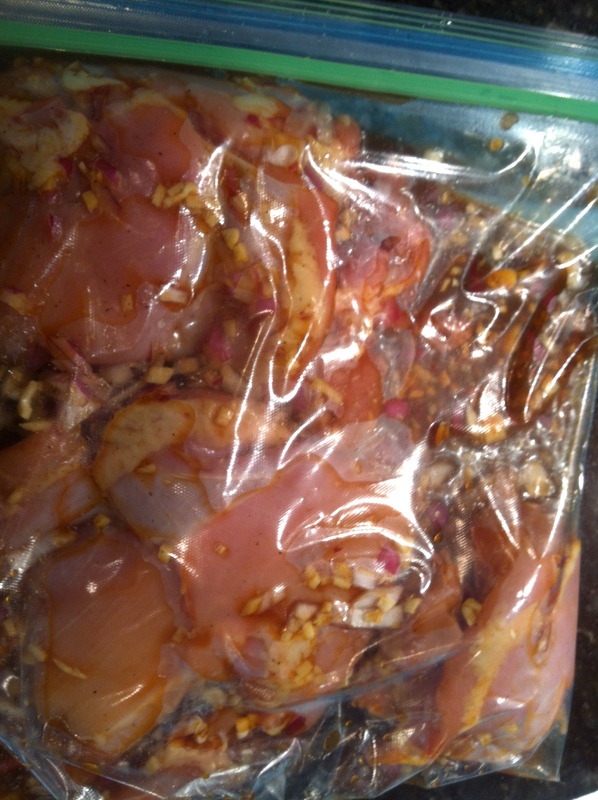 Combine the chicken, onion, garlic, ginger, soy sauce, juice and 1 teaspoon pepper in a large resealable plastic bag. 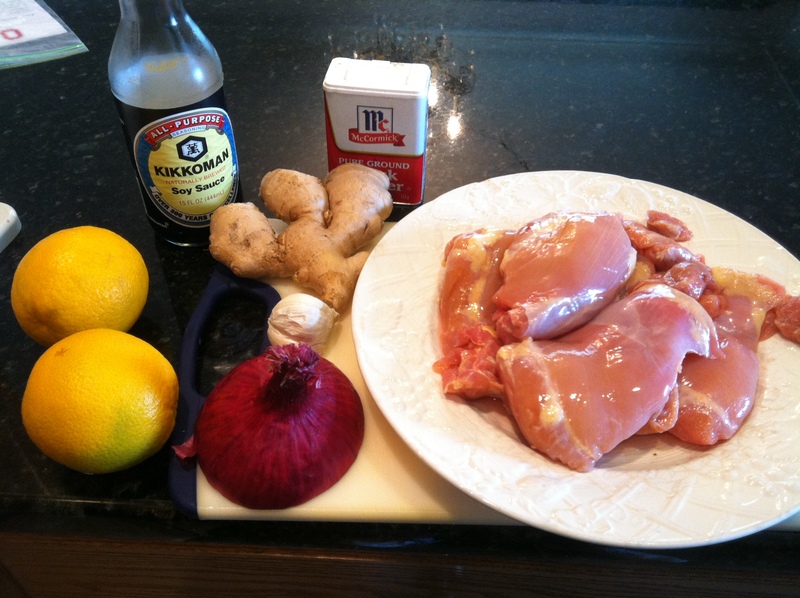 Seal and shake to coat the chicken with the marinade. Refrigerate 1 hour or overnight. Preheat a grill to medium high and oil the grate. 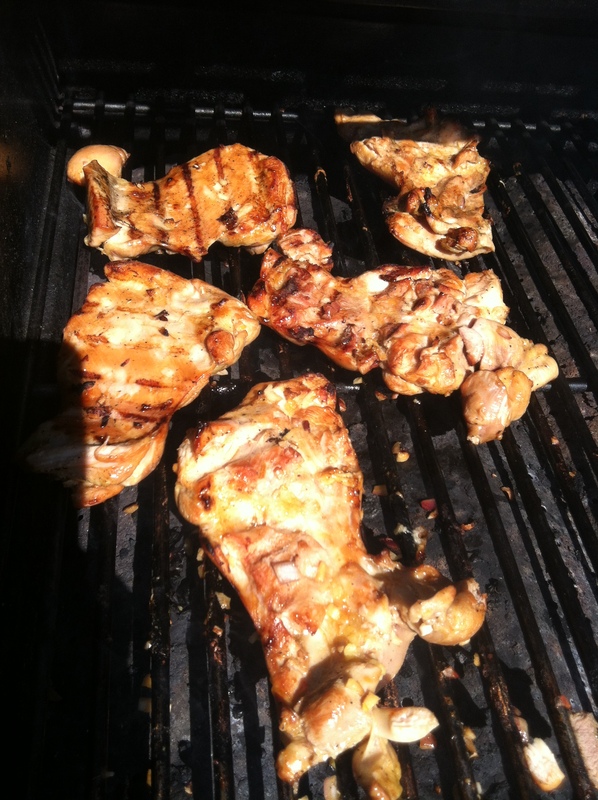 Grill the chicken skin-side down until marked, 5 to 6 minutes. Flip and continue to grill until cooked through, about 5 more minutes. Let rest 5 minutes before serving. I agree, some of the best food is in unknown out of the way places. I adore Anthony Bourdain. But, I do get tired of his snobby ways and I’m kinda glad that No Reservations is on it’s last season this fall. Series Finale. Fin. Im With you. Fieri is the clear winner with all of the little of the wall joints he hits.. Plus you get to drive around that sweet Camaro. I was drawn to the chicken recipe. I will be serving tonight, and I needed a new recipe. Thank you. Hear, hear. I like Guy Fieri but the calorie counts on some of that food must go through the roof. I’d love a woman’s perspective on all of these shows. I’m picturing Giada de Laurentiis with Fieri at one of the diners…I can see her expression already. She would have the game face on, but inside she’d be all OMG, OMG. Bourdain. Only because I love his books. Totally agree! I am a Triple D addict!! How about who you’d want to have dinner with? I think that Bourdain is extremely more interesting than the rest. I have a soft spot in my heart for Richman because he looks and sounds like an old coworker of mine who is a solid dude. I like Zimmern, too. I also really like your work on this blog, sir! Don’t watch much T.V, but I liked the recipe a whole lot!!! I love watching all those shows! Except for Diners, Drive Ins and Dives since none of the channels from our cable provider shows it. But I think I’d love to try what Zimmern does. Guy was my choice also, love his shows and food. This recipe is a keeper. Thinking tomorrow would be a nice day to make it. We got addicted to Man vs Food – and visited some of his haunts on our travels in New York and Hawaii. Great fun, great food. And this recipe sounds delicious! 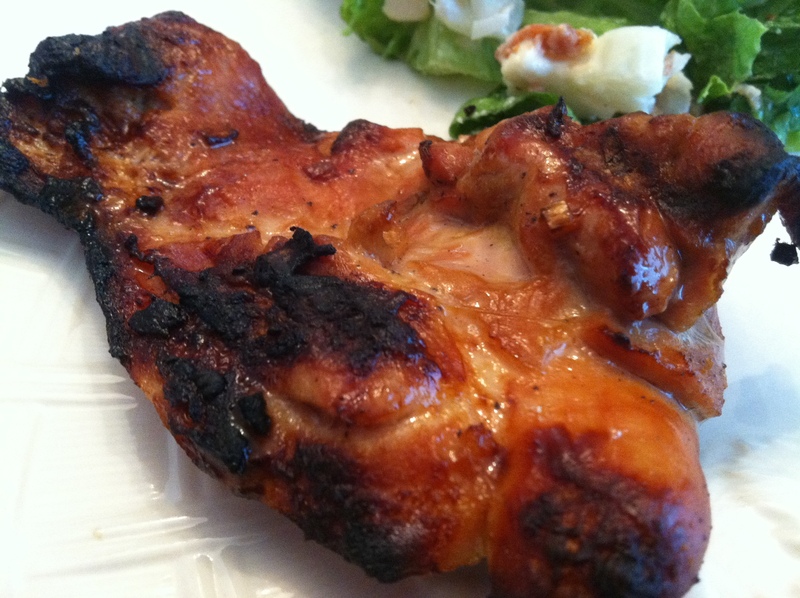 i like the recipe, it is a simple-easy-to-do dish..
Chicken recipe looks good, it’s on my chicken-to-do list. I choose Bourdain. I’d rather spend my time traipsing the globe than stopping at truck stops or diners in Ohio or Missouri. Also Tony B can write!! Bourdain! Travel across the globe and try the local food is interesting activities to do. what about Bobby Chinn? =) not on the selection though. Anthony Bourdain. Hands down. As much as I love to watch him, I’m not brave enough for Andrew’s Shtick, I’ve never watched the third one. And I just don’t like the fourth guy.